Today’s recipe is kicking off a new soothing skin care series that is perfectly timed for the driest, darkest, and often coldest part of the winter here in Calgary. The formulas in this series star a beautiful selection of wonderful, effective ingredients that have been proven to soothe, moisturize, and repair the skin. We’re starting with this simple, super-hydrating serum for a serious hit of moisturizing, barrier-boosting skin care goodness. Today’s facial mist recipe was inspired by a recipe request and a cult favourite herb-spiked super-hydrating face spritz. Anuradha requested “a facial spritzer… something calming [and] refreshing,” and the product she linked to featured aloe vera and a selection of herbal extracts and humectants for all kinds of soothing, hydrating goodness, and it sounded both divine and utterly DIY-able! Sheet masks are all the rage these days, but they are also usually at least $1–2 a piece, and you only get to use them once, and that’s a bit ridiculous. I have a few (mostly from last October’s trip to NYC) and I find myself hoarding them (like I used to do with bath bombs before I got wise to that situation!). So, I figured—what’s stopping me from DIYing this, too? And here we are! As I’ve been learning more and more about Asian beauty philosophies and trends, I’ve been really intrigued by the Asian-style toners /r/AsianBeauty raves about. Toners from Korea and Japan are focused on hydration and pH correction, packing a seriously nutrient-rich, hydration heavy punch. I’ve been learning how much my skin loves hydration over the last couples months, so a hydrating toner sounded like an awesome addition to my skincare routine. Plus, I have a ton of awesome water soluble skin goodies in my DIY cupboard, so I figured I should make something in a similar vein—hence this Hydrating Rose Water Facial Toner! I’m on a huge hydration kick these days. Well, not so much a kick as a lifestyle change. I’m making hydration a serious priority, and my skin is so much happier for it. While staying hydrated in Calgary is always a challenge, summer is a different kind of challenge: sun exposure and more time spent outside means more wind and elements exposure, but it also means I’m less inclined to reach for heavier moisturizers. That’s where this lovely humectant packed mist comes into play. This pretty yellow Rejuvenating Pine Pollen Facial Toner packs a punch for skin that needs a bit of a kick in the pants in the refreshing category. Rich in humectants and alpha hydroxy acids, this toner helps encourage your skin to regenerate and stay hydrated so your complexion can be all “✨” instead of “”. Like my blog? Subscribe to get an e-mail every time I post (Thursdays and Mondays)! Thanks so much—you're on the list! Learn about why we use ingredients, substitution suggestions, shelf life, and a whole lot more in the Humblebee & Me DIY Encyclopedia! Do I need to add a preservative to my soap? Learn more in the Humblebee & Me FAQ! 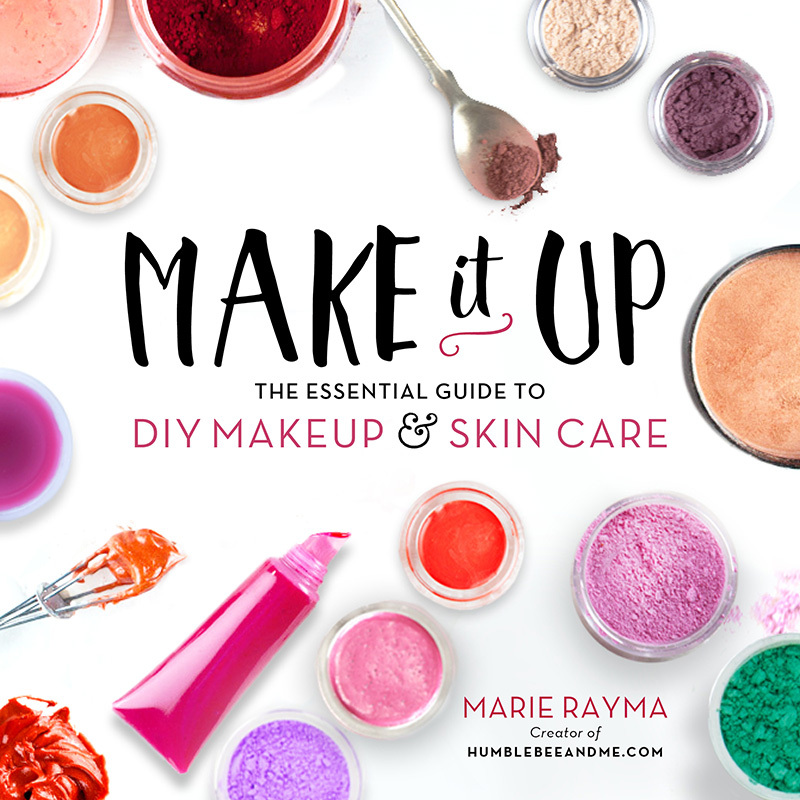 Make it Up: The Essential Guide to DIY Makeup and Skin Care is now available at booksellers all over the world! Want to help support Humblebee & Me? Click here to learn how! Please note that nothing on this site has been designed or tested for large scale manufacturing or re-sale, and attempting to sell anything made from recipes on this website is a bit foolish and at your own risk. Subscribe to Humblebee & Me!